Google Inc will begin allowing users to personally endorse search results and Web pages, its latest attempt to stave off rival Facebook Inc while trying to jump onboard a social networking boom. The so-called “+1” button will start to appear alongside Google search results for select users from Wednesday, letting people recommend specific search results to friends and contacts by clicking on that button. Eventually, the feature may begin to influence the ranking of search results, though that is only under consideration. Results are now ranked via a closely guarded algorithm. The world’s leader in Internet search is battling to maintain its share of Web surfers’ time and attention, which is increasingly getting taken up by Facebook, Twitter and other social networks. But it has struggled to find its footing in the nascent market. Its last attempt to create a social network — Buzz — has not fared well. A flood of complaints about how Buzz handled user privacy cast a pall over the product. On Wednesday, Google announced it had reached a settlement with regulators under which it agreed to independent privacy audits every two years. With the new +1 buttons, Google aims to counter one of Facebook’s most popular features. The new feature comes nearly a year after Facebook began offering special “Like” buttons to websites, creating a personalized recommendation system that some analysts believe could challenge the traditional ranking algorithms that search engines use to find online information. Maintaining its role as the main gateway to information on the Internet is key for Google, which generated roughly $29 billion in revenue last year — primarily from search ads. 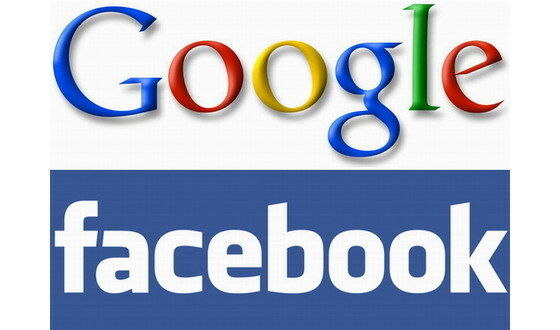 While Google remains the Internet search and advertising leader, Facebook is taking a larger and larger portion of advertising dollars. Google said that +1 recommendations will also appear in the paid ads that Google displays alongside its search results. In its internal tests, Google found that including the recommendations boosted the rates at which people click on the ads, executives told Reuters in an interview on Tuesday. Eventually, Google plans to let third-party websites feature +1 buttons directly on their own pages, the company said. Google’s Matt Cutts, a principal engineer for search, said the +1 buttons were part of the evolution of Google’s own social search efforts, rather than a direct response to Facebook’s Like buttons. in the search results,” said Cutts. Google introduced social search in 2009, and in February the company began displaying special snippets underneath any search results that have been shared by a person’s contacts on Twitter, the popular Internet microblogging service. Currently Google is not using +1 recommendations as a factor in how it ranks search results — a user only sees that a friend recommended a search result if the result would have turned up in a search based on Google’s existing ranking criteria. Google’s Cutts said the company is evaluating whether to use +1 recommendations as a ranking factor in the future. To use the new recommendation system, users must create a Google Profile page. Any +1 clicks that a person makes will be publicly visible to their network of contacts, which is based on existing contacts in Google products such as the company’s Gmail email and its instant messaging service. Google faced privacy criticisms last year when it launched Buzz, a social networking messaging product that automatically revealed people’s personal contact lists to the public. Cutts said that Google hoped to address any potential privacy concerns with the +1 service by making it clear that any +1 tags are public. “As long as people have that mental model, they know what to expect, they’re not surprised if they +1 something and it shows up in a different context,” he said. The feature will initially be available to a small portion of Google users in the United States on Wednesday, and the company plans to allow other U.S. users to sign up to try the +1 feature later in the day.